Home Blog What is Rolling Code Technology? Today's technology has made it more challenging for car thieves to get gain access to your garage. 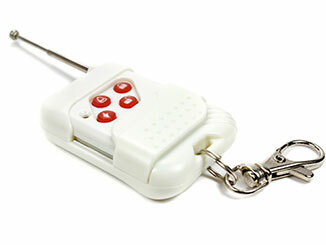 Manufacturers of key fobs realized they needed a way to ensure that your fob code was not compromised. The only way to do this was to come up with rolling code technology. When you use your fob, the frequency that communicates with your opener will change each time - it rolls out a different code each time it is used. Further, the receiver will only recognize your unique signal. There was a time when thieves could use 'code grabber' devices to attach itself to your key fob signal. This is why it was necessary to create technology, which would change the signal every time you used your fob. In doing so, the code grabber is no longer able to pick-up the signal. Another advantage to rolling code technology is that it can be stored in your car, not inside the fob itself. Our company is committed to making sure our service technicians are aware of all of the most up-to-date changes occurring in the industry. This ensures you receive the most efficient services possible. Technically, a potential intruder could choose to spend time figuring out the sequence of numbers and get access to the code. For this reason, codes also have to be encrypted. This method proves particularly beneficial when it comes to preventing auto theft. Most intruders will take the route of least resistance - with this type of technology, it would take a lot of effort to get the code to steal your car so you're working with a major deterrent. If you're interested in updating the security of your garage door system, we can help. We can talk you through all the options available to you and clarify whether it's likely you'll need a new opener or simply an add-on to your current unit. Talk to us today at Garage Door Repair West Valley City!